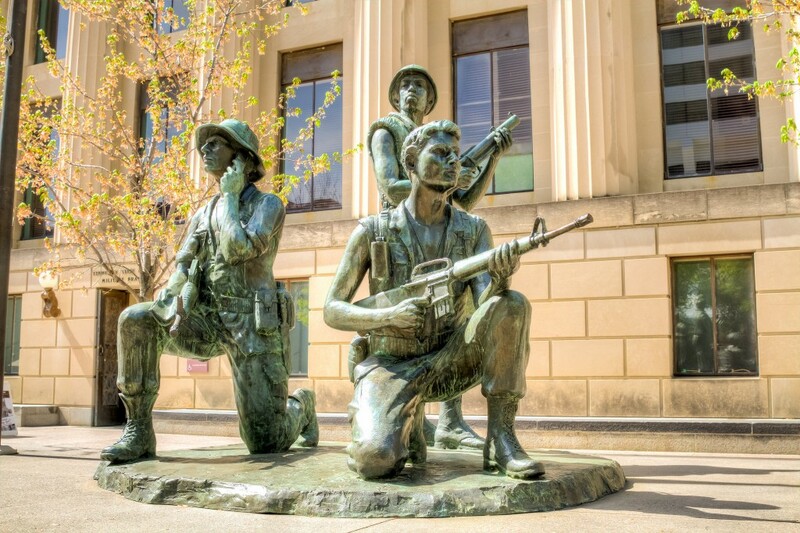 If you’ve ever wondered which historic events and people emerged from Nashville, these must-see landmarks will provide more than enough knowledge to feed your curious mind. Founded by John Harding in 1807, this plantation began with a single log cabin and 250 acres. It quickly evolved into a 5,400-acre thoroughbred horse farm, with a Greek Revival Mansion, deer park, train station, and rock quarry. 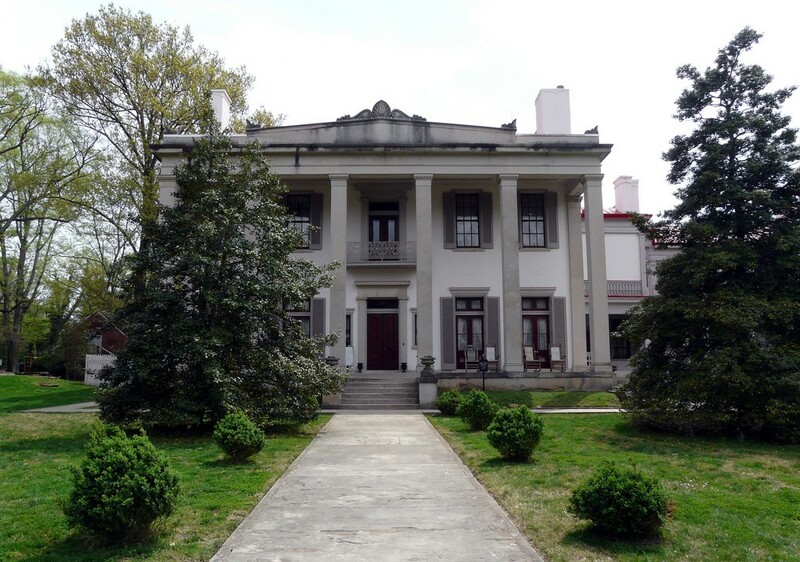 Today, the Belle Meade Plantation (which translates into “beautiful meadow” in old English and French) retains 34 acres of its original property, including the Mansion and original homestead. The property has a winery, visitor’s center, and has several of the original buildings to explore. These include the Harding Cabin, carriage house, stable, and reconstructed slave quarters. Each tour is led by a trained and costumed guide who shares knowledge about the history of the Old South, from slavery to the Civil War. Located 10 miles (16 kilometers) east of downtown Nashville, Andrew Jackson’s Hermitage was a plantation owned by President Andrew Jackson. His wife, Rachel Jackson, chose the homesite, and from 1804 to 1821, the Jacksons lived in a log cabin on the property, along with slaves who occupied two additional log structures. Now a National Historic Landmark, The Hermitage is where both Andrew and Rachel Jackson are buried. When Rachel died in 1828, Jackson laid her to rest in the garden of The Hermitage, which was her favorite place. Today, he occupies the space next to her in the tomb. 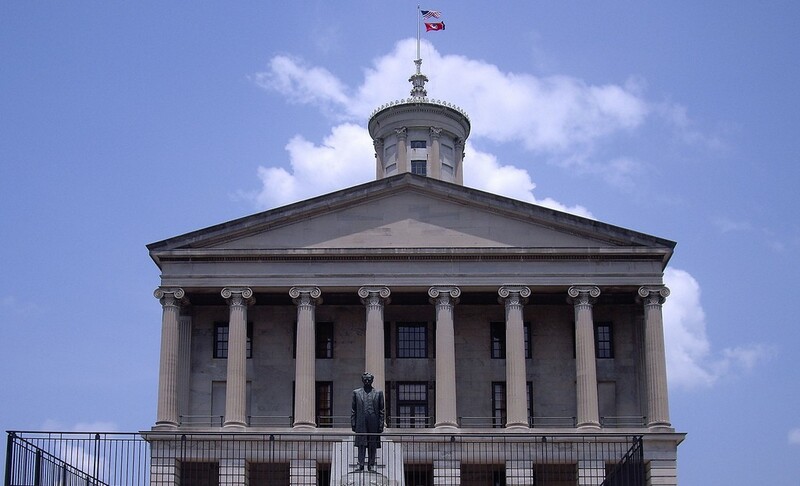 Designed by architect William Strickland and built in the Greek Revival architecture style that models a Greek temple, the Tennessee State Capitol is one of 12 capitol buildings in the U.S. that does not have a dome. The Capitol sits on the hilltop site once occupied by the Holy Rosary Cathedral, which was the first Roman Catholic cathedral in Nashville. On the grounds of the Capitol are two statues of U.S. presidents: Andrew Jackson and Andrew Johnson. President James K. Polk is buried in a tomb on the Capitol grounds, along with his wife, Sarah Childress Polk. Other monuments include a Tennessee Holocaust Memorial, the Sam Davis Memorial, and Sen. Edward Ward Carmack Memorial. Originally built for Tennessee’s 1897 Centennial Exposition, the Parthenon now stands as the centerpiece of Centennial Park in Nashville. The design of the monument is considered the pinnacle of classical architecture, and the interior of the structure features a 42-foot (12.2-meter) replica of the Athena statue found in ancient Greece. It serves as an art museum and is home to a permanent exhibit displaying 63 paintings by 19th- and 20th-century American artists, donated by James M. Cowan. There are also plaster replicas of the Parthenon Marbles, found in the naos (the east room of the main hall), which are direct casts of the original Parthenon’s sculptures, whose fragments are now housed in the British Museum in London. The Acropolis Museum in Athens also has some. 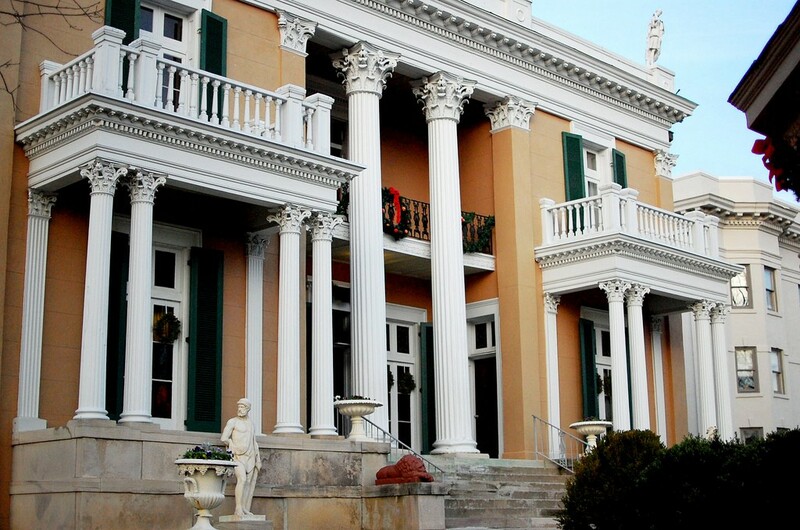 Once among Nashville’s richest residents, Adelicia and Joseph Acklen built the Italian Villa-style Belmont Mansion in 1853. It was part of a country estate created as a summer getaway. In 1864, the 4th Corps of the Union Army occupied the house before The Battle of Nashville. Now the 19,000-square-foot (1,765-square-meter) mansion, located on the campus of Belmont University, offers personalized docent tours. Visitors can admire the 19th-century architecture, explore the home’s 36 rooms, as well as learn about the life of the home’s original builder, Adelicia Acklen. The majority of the rooms in the Belmont Mansion have been restored. The Ryman Auditorium opened in 1892 as the Union Gospel Tabernacle. It later went on to be called the Grand Ole Opry House (it was home to the Grand Ole Opry from 1943–1974), and today, it is known as the “Mother Church” of country music. Nashville businessman Thomas Ryman oversaw the construction of the Ryman, which was to include a balcony, but due to a lack of funds, the project was delayed; however, members of the United Confederate Veterans provided the necessary funding, and the building finally opened in 1897. The balcony was then named the Confederate Gallery. Designated a National Historic Landmark in 2001, the 2,362-seat live performance venue is now one of the most popular places in Nashville to hear live music. Situated on the bottom floors of the James K. Polk building downtown is the Tennessee State Museum. It depicts the history of the state of Tennessee, starting from pre-colonization and going into the 20th century. With more than 120,000 square feet (11,148 square meters) of space among three floors, the museum includes both permanent and changing exhibits that display paintings, weapons, furniture, uniforms, and battle flags from the Civil War. Larger exhibits include a painting gallery, a reproduction of a historic print shop, and a grist mill. There’s also a museum store where visitors can purchase handmade crafts and Tennessee memorabilia. Also known as the Bicentennial Mall, the Bicentennial Capitol Mall State Park sits in downtown Nashville, northwest of the Tennessee State Capitol. Opened in 1996 to commemorate the 200th anniversary of the establishment of Tennessee’s statehood, the 19-acre park includes a 200-foot (61-meter) granite map of the state, a World War II Memorial, a walkway featuring the 95 counties of Tennessee, and a 2,000-seat amphitheater. There are also 31 fountains representing the major rivers in Tennessee and a 95-bell carillon. Local rangers sometimes reenact characters in Tennessee’s history, like Davy Crockett or infamous war soldiers, at the park.